Good management involves knowing about governance and policies, delegating well, communicating effectively, and organizing one’s own time well. Leadership is something much more personal, and reflects one’s ability to connect, communicate, and inspire others. While some may seem to be born leaders, most meaningful leadership skills are learned and can be refined with practice and intention. This session will explore the differences between management and leadership and provide participants with the opportunity to reflect on the type of leader they are and want to be. Participants will engage in several activities to practice leadership skills related to building trust, creating a culture of accountability, and managing their own response to challenging situations. Participants will explore organizational practices that support inclusive leadership and engage in individual reflection, which includes building an understanding of how implicit bias impacts one’s own leadership. This full day session will benefit both individuals in formal management roles and those looking to advance their opportunity for leadership. This training will be facilitated by Emily Shamsid-Deen. Emily Shamsid-Deen is the Owner and Principal of ESD Consulting, which provides facilitation and consultation to help organizations create equity based, values driven change through transformational leadership practices. 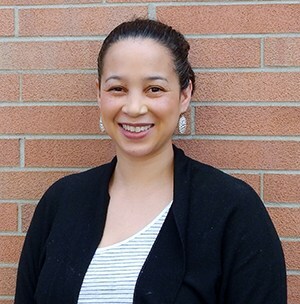 Emily brings over 15 years of experience in nonprofit management and has worked in the areas of disease prevention, domestic violence, leadership development, community engagement, civic engagement, advocacy, and capacity building. Most recently, Emily worked at Community Resource Center where she facilitated trainings across the state on nonprofit best practices and helped organizations increase their capacity to engage in advocacy work.